Here at Fluid Health, we maintain great relationships with some of the best Allied Healthcare practitioners in the business. We do this so that if we cannot treat your issue, we know we can refer to you see the best person who can see you right. 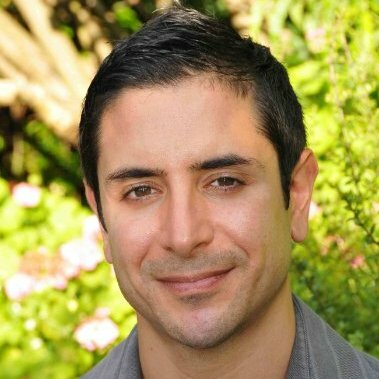 Meet James Nicola, Sports Chiropractor. 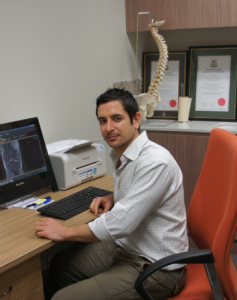 James is well-known in the industry as a thorough and precise expert in spinal health. Fun fact: James worked as a sports chiropractor in the Rio Olympic/ Paralympic Village polyclinic where he treated a number of gold and silver medallists, including one Paralympic athlete who broke the world record in power-lifting just two hours after being treated! Here, James answers a few questions for us on what he’s all about. I have 14 years of experience as a sports and family chiropractor. Prior to completing my chiropractic studies, I completed a degree in Human Movement (Sports Science) so I have an intimate understanding of how the body works when exercising and how to best integrate exercise as rehabilitation. I tailor my treatments to each individual’s needs and preferences. I have worked with international-level athletes, world record holders and world number one professionals from various sports. I also recently worked on athletes in the Olympic Village Polyclinic at the Rio Paralympics in Rio De Janeiro, Brazil. I primarily work out of the Bay Street Medical Centre just down the road from Fluid at 120 Bay Street, Port Melbourne. In a few weeks, I will begin to also work at the Glenferrie Sports and Spinal Clinic on Tuesdays and Thursdays. I also hold the post of the head doctor for the Genova International School of Soccer (a group who identify talented youth from around the world and offer them elite level training and opportunities to sign with top clubs in Europe). Although I see many athletes, I typically see patients of all ages and all activity levels. My priority is to treat every patient I see with same level of care regardless of what condition they present in. Some of my patients are elite professional athletes and some patients come to me in tremendous disability, such as from failed surgeries and multiple comorbidities. I also see families, pregnant women and kids. How does what you do work in with the soft tissue work we do at Fluid? I have referred many patients to Fluid over the years because I know they are industry leaders in soft tissue therapies. I can communicate to the therapists at Fluid easily and let them know my findings and give my recommendations. Outside of work, I am a bit of a fitness fanatic. I try to keep fit with weights in the gym, sprint work on the track and a bit of soccer and boxing. I enjoy the social component of exercise as much as the physical benefits. I also love going on holidays, particularly somewhere warm with good food and nice beaches! You can read a bit more at Dr Nicola here and you can click here to make an appointment with him at ProWellness Health Centre/Bay Street Medical in Port Melbourne.